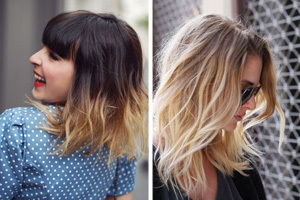 The colour blonde is so incredibly versatile when it comes to hair. You can opt for an icy bleached blonde, a vibrant golden blonde or a super cool ash blonde. The latter is undeniably our favourite colour, and that’s why we’ve chosen to explore this amazing style today. We’ve gathered an incredible collection of super stylish as blonde hairstyle inspiration ideas to help push you towards dying your hair a phenomenal shade of ash blonde. Sit back, relax and let us inspire you to go blonde today! 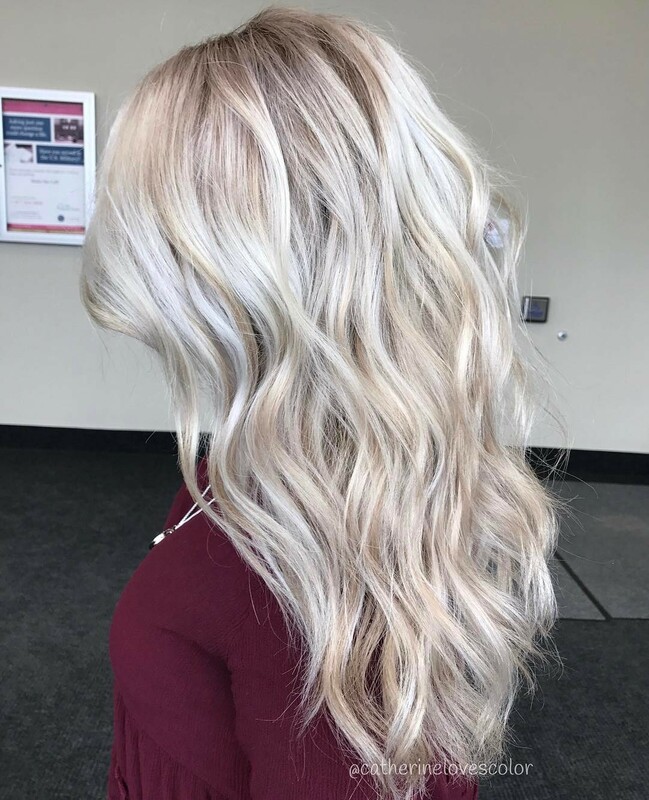 Ash blonde is a rather pale, warmer tone of blonde, and it pairs extremely well with a variety of shades, especially dark chocolate brunettes and platinum blonde manes. 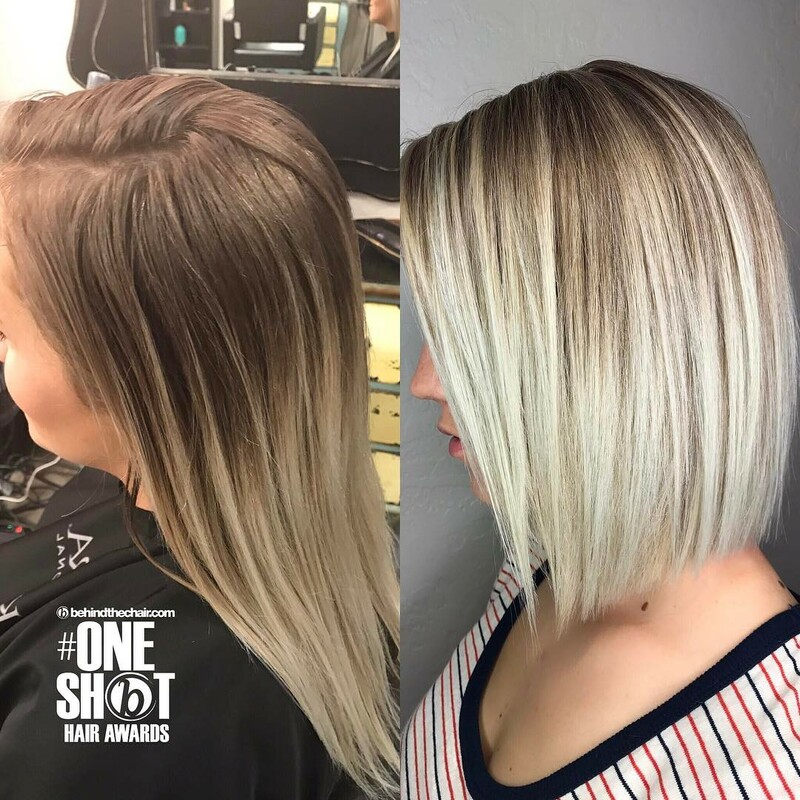 The versatility of this ash tone makes it a go-to for easy, natural-looking highlights, and you’ll be running to your stylist after seeing these fabulous ash blonde hairstyles. 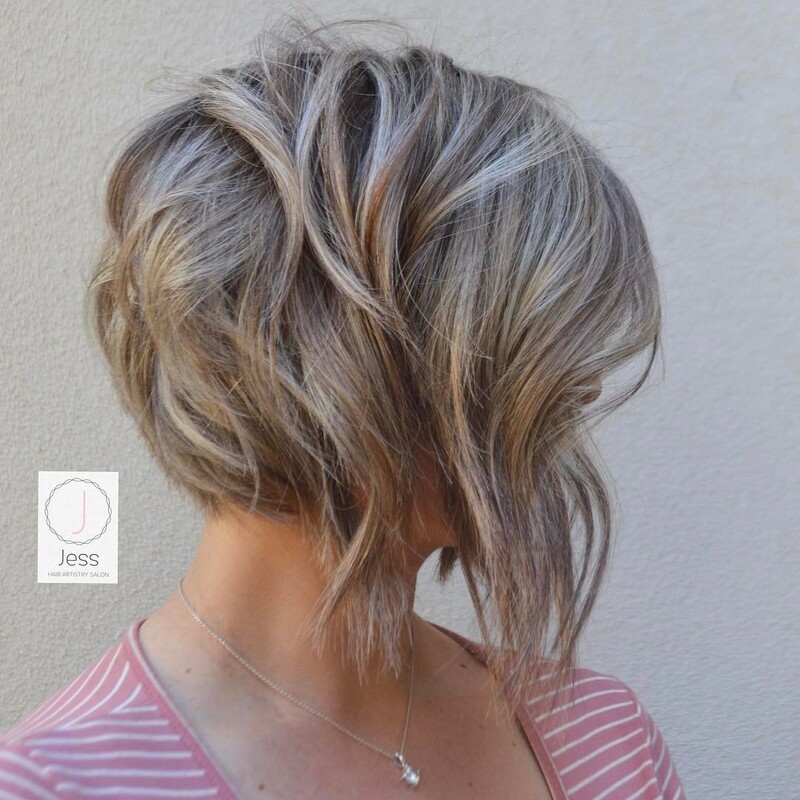 Layers can bring a bob style to life to perfection, which is exactly why we had to include this incredible style into the post. Chop your hair into a gorgeous shoulder length bob and add lots of layers throughout. Dye a wonderful shade of ash blonde and add golden blonde highlights throughout. This will create a stunning and sun-kissed look. 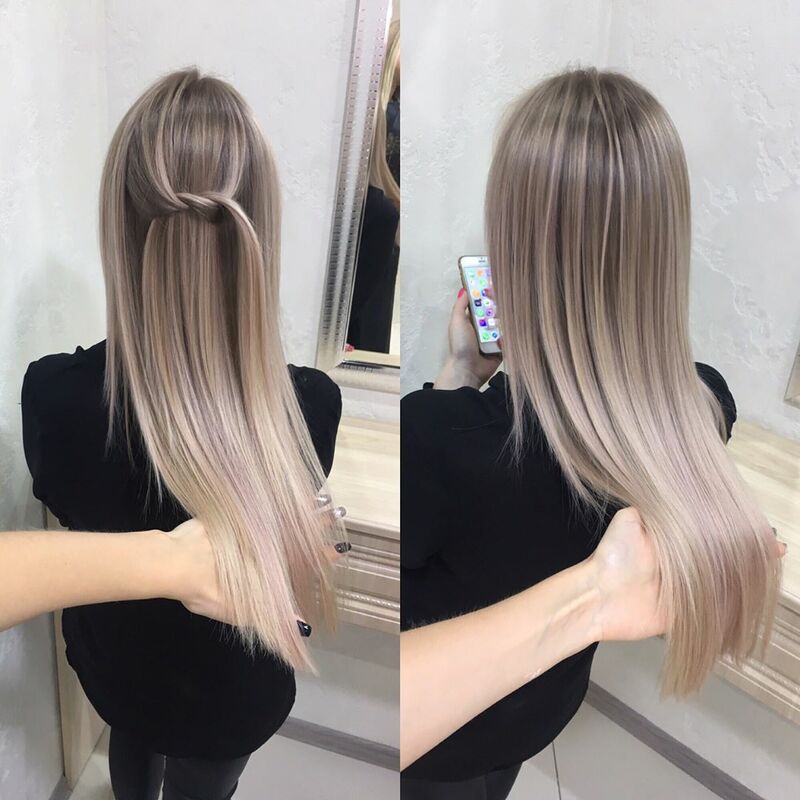 Balayage is an incredible hair colouring technique which blends two colours together seamlessly. Steal this amazing and sleek style with ease. Keep your locks incredibly long. 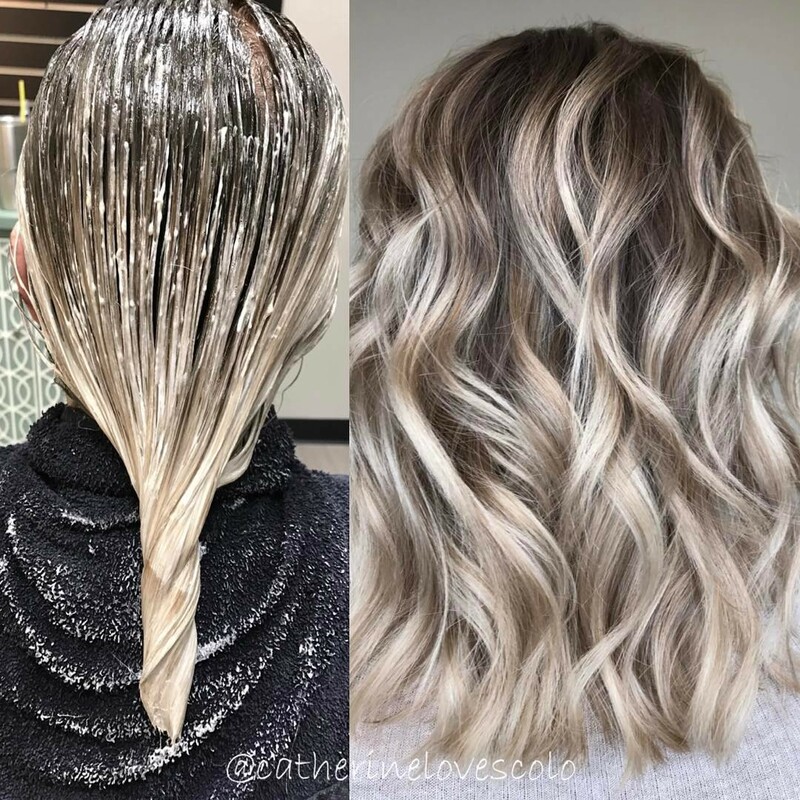 Use the balayage technique to blend your hair from a deep and dark ash blonde down to a lighter shade at the ends of the hair. 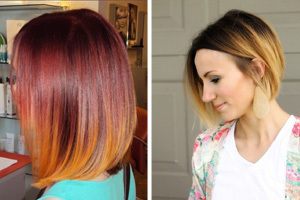 Keep incredibly straight to show off the incredible colour transition. 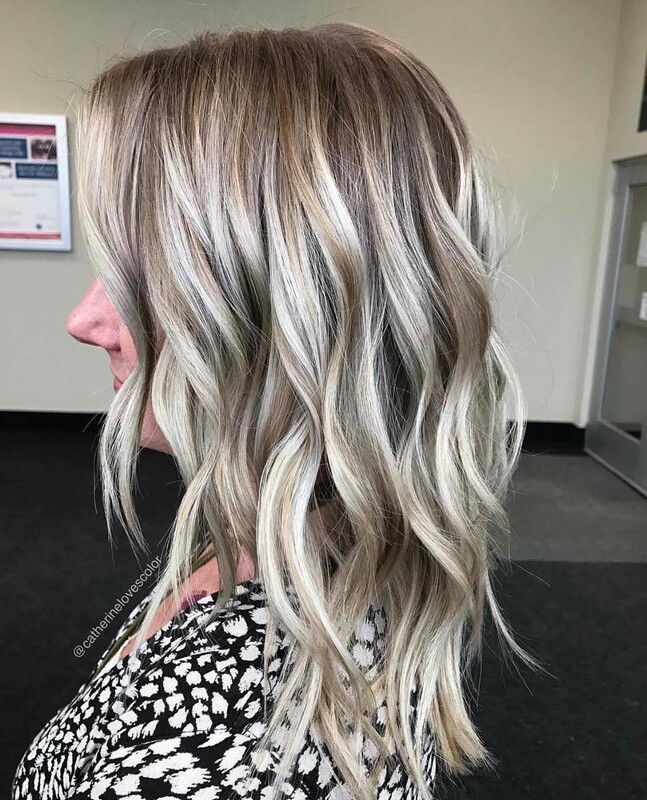 Golden blonde and ash blonde work together simply perfectly, just as this stunning lady proves from her incredible hairstyle. Keep your hair long so that it falls a few inches down below the shoulder level. Dye your hair a stunning shade of white blonde and opt for gorgeous ash blonde streaks throughout. 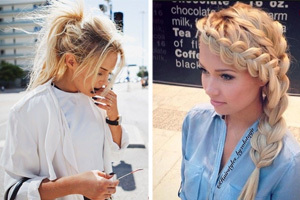 Add bouncy curls from top to bottom. Long bobs can work with a graduated style too – in fact, they’re absolutely gorgeous! Start by asking for a long bob which falls a few inches below the shoulder. Cut it shorter at the front of the face and around the jaw level and let the layers graduate longer towards the back of the head. Dye it an ash blonde and fill with bright blonde highlights all over. Show off that stunning ash blonde colour with a gorgeous and voluminous bob absolutely full of bounce and body. 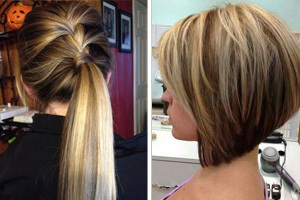 Chop your hair into a bob which falls around the ear length. Add longer sections towards the front of the face to frame it. Add lots of shorter layers throughout up to the top of the head. 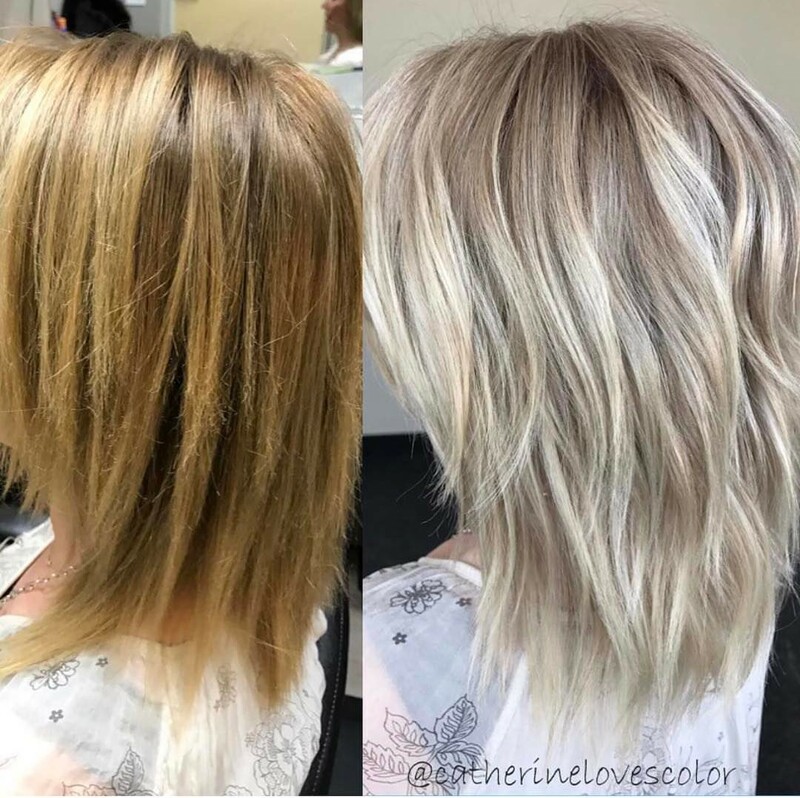 Highlight with glorious ash blonde shades from top to bottom. Ringlets are a wonderful way to breathe life into a hairstyle, which is why we simply had to include this stunning look in our gallery of ash blonde hairstyles today. Chop your hair into a shoulder length bob. Start with a dark ash blonde at the root and use balayage to add a brighter golden blonde to the ends. 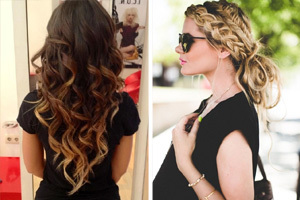 Add big and bouncy curls throughout the hair. 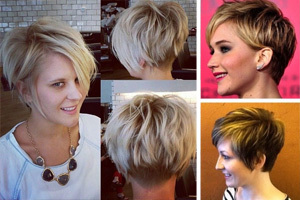 Blunt bobs are incredibly chic and oh so stylish – especially when paired with a gorgeous shade of ash blonde. 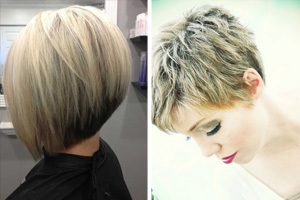 Steal this style by asking for a medium length bob which falls an inch or so below the jaw level. Make sure the ends are blunt and sleek. Choose a gorgeous dark blonde at the root and blend towards a bright blonde at the ends of the hair.